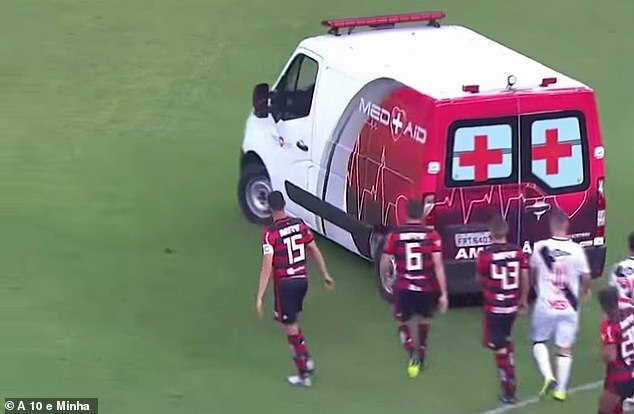 Flamengo and Vasco da Gama joined forces to help an injured player on Saturday after the ambulance transporting him to hospital broke down. Vasco’s Bruno Silva was knocked out in the second half and was helped into an ambulance on the pitch. However what had been a worrying scene soon became a farce, as the vehicle was unable to leave when its engine failed to start. With the 54,000 crowd at the Mane Garrincha stadium booing and jeering, the players on both sides took matters into their own hands. 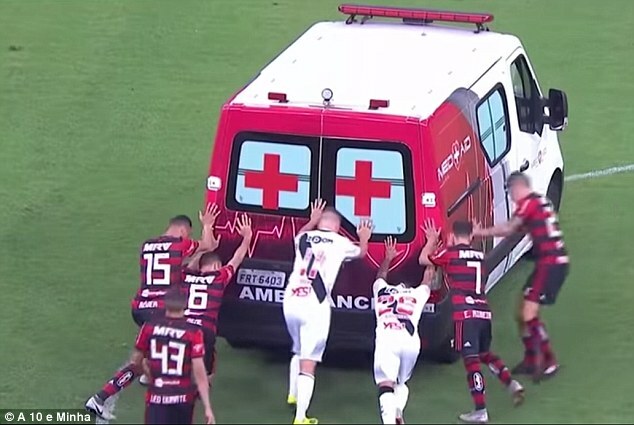 Then, roared on by both sets of fans, the footballers had to push-start the ambulance to bring it back to life. Eventually the ambulance restarted and took Bruno Silva to hospital, where he was kept overnight as a precaution before being discharged. 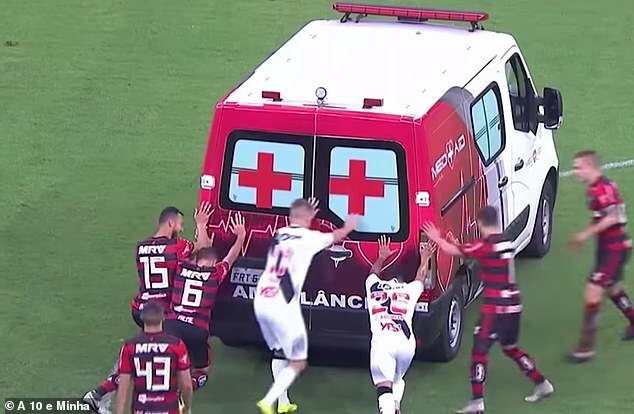 Despite being a triumph for teamwork, Flamengo defender Rever was unhappy that the players had been forced into an emergency breakdown service. The game between Vasco and Flamengo is generally regarded as the most fiercely competed rivalry in Brazilian club football – making it all the more notable that the players were able to work together. In the match itself, Vasco took the lead through Andres Rios in the 27th minute, before Flamengo equalised just after the hour mark when Luiz Gustavo scored a spectacular own goal with a diving header. 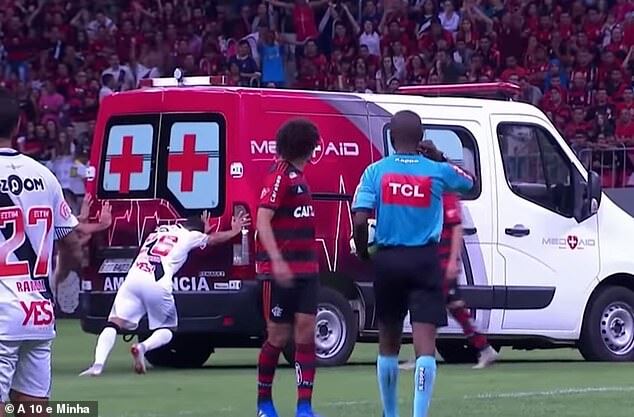 Flamengo midfielder Diego was sent off 13 minutes into the second half. Vasco also finished with 10 men as they had used all three substitutes before Silva was injured. Vasco are fourth bottom of the table while Flamengo are four points adrift of leaders Internacional, who go to Chapecoense on Monday.